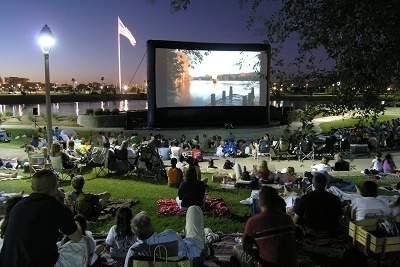 Dirty Dancing will be shown this week as part of the weekly movie in the park series. There's something special about outdoor events under the stars. Especially when it involves Bollywood dancing or Patrick Swayze! Read on for the best events to check out this week in Vancouver. This year, the Vancouver Sawan Mela begins on Friday for the "Sangeet" night starring some of Vancouver's finest vocalists: Raju Johal, Luv Randhawa, Gagan Sharma and Manraj Hassan as well as DJ A-Slam, En Karma and TAZ- StereoNation. Bollywood Under the Stars featuring "Qurbani" and Sawan Mela: the Festival will occur on Saturday with Satvik Veena creator Pt. Salil Bhatt from India with tabla master Cassius Khan. Over 12 hours of continuous live bands and DJs performing on two stages in an intimate outdoor concert setting. This may be 10km out of Pemberton and a bit of a trek, but this party that is in the running for Pemberton's Best Party for it's 4th consecutive year is well worth the drive. The Tibetan Cultural Society of British Columbia (TCS) and Tsengdok Monastery Association welcomes you to join them for Tibet Fest 2012. Bringing the sounds, colours, and flavours of the Himalayas to Canada, the festival promises an exciting day of live music by Jamyang Yeshi, traditional cuisine, a lively marketplace, art workshops, sand mandala, meditation, astrology, and more. The cost of the event is free but a $5 donation is suggested in support of the Tibetan Canadian Resettlement Project. 1.5lb of lobster, a pint of Alexander Keith's IPA with a commemorative glass and live music for $20. Need I say more? It's awesome. Why have coffee alone when you can have it with likeminded people? This informal gathering is a chance to meet new people over a cup of delicious coffee (Kafka's is fantastic) before you go about your daily routine. Bring a friend or come alone! 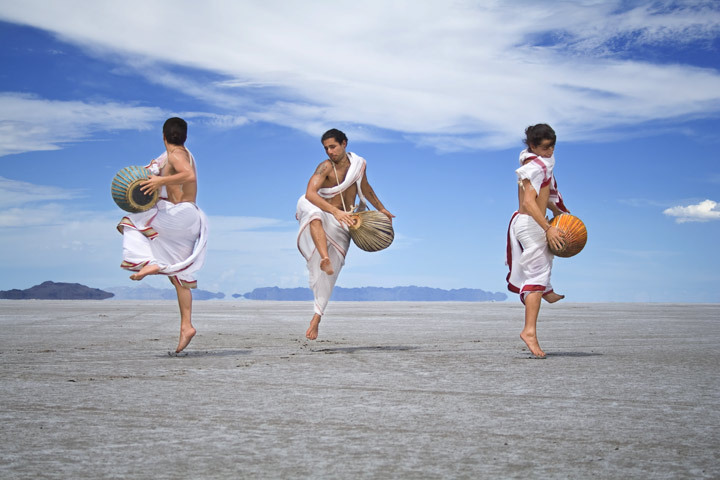 Kirtan is one of the oldest sacred yoga traditions of the world. It is a call-and-response chanting genre. Come and enjoy the largest free Kirtan Event in Vancouver presented by Organic Lives bringing some of the world’s most beautiful souls and voices to its stage. World-renowed Kirtan leaders will perform a FREE outdoor concert, encouraging participants to sing & dance. Zombies will take over Vancouver on Saturday! Don't believe us check out this video. Island Life 3 PIRATE LIFE PARTY! Want to hear amazing local bands? This event is for you. Will be an epic night of dancing, we guarantee it. 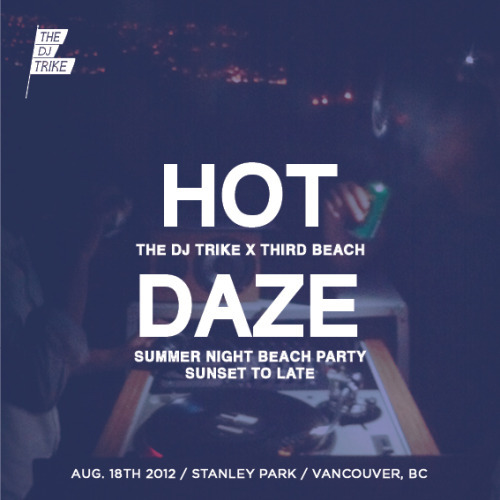 The DJ Trike will host Hot Daze, a chill dance beach party at Third Beach Saturday from sunset to late into the summer night. Labour of Love + guest DJ’s will be providing tunes for the night. BrazilFest is a festival of Brazilian arts and culture where an expected 17,000 to 20,000 people will pass by from 11am to 8pm. The festival will showcase the best Brazil has to offer in music, dance, food and film. World-class Garlic. Garlic Ice-Cream. Live Music. Cooking Demonstrations. Food Vendors. Kids Activities. Love garlic? this event is for you! Have the time of your live (I know I'm cheesy) in David Lam Park with Baby and Johnny. I'll be swooning over Patrick Swayze while you'll be enjoying the fact that you're getting to do something for FREE in Yaletown - a rare occurrence.